Every blondie needs a brownie by her side. 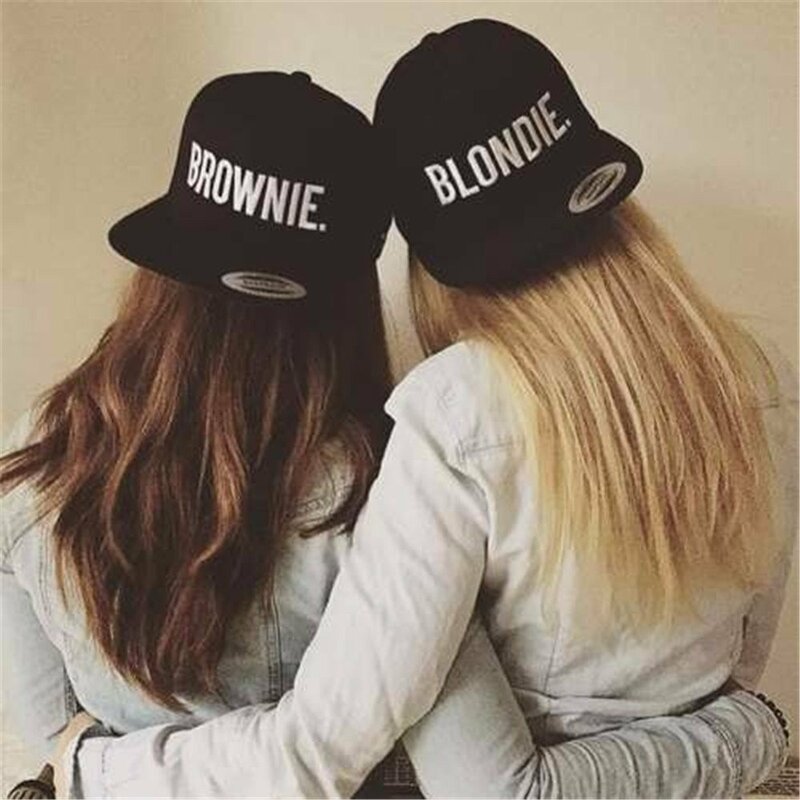 Celebrate your friendship and your hair color with the #1 trending female hip hop hats in our collection. Retro style snapback size adjuster. One size (adjustable).